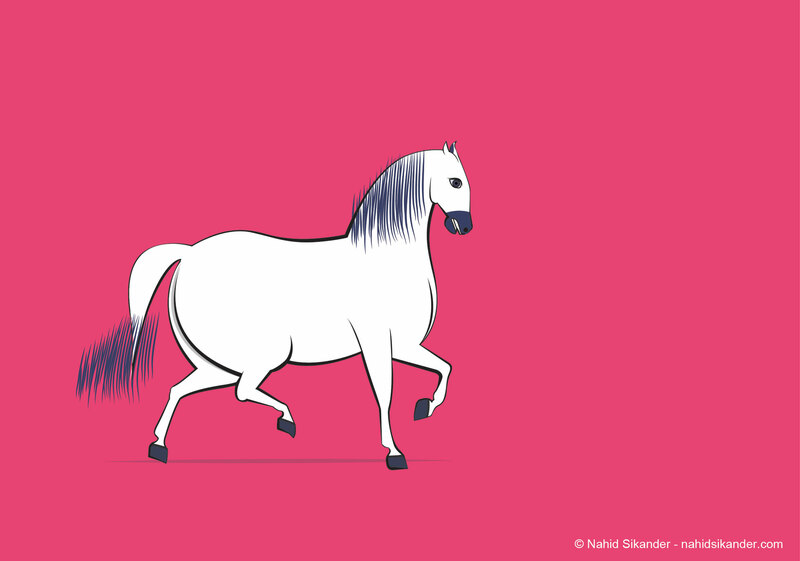 Horse illustration made in illustrator, it is a vector image of white horse with pink background. The horse has been taken from Indian art style in which the horse rider was sitting on the horse back with decorated stuff. In this painting the white horse is walking and background is in pink color so that it can look bright and colourful. The horse is fat and flashy, looks bold and muscular with big eyes.